All businesses have problems. The problems in a small business are unique for many different reasons. One being we wear so many different hats that problems tend to be pushed aside to be dealt with later. Pushing them aside leads to small problems becoming big expensive problems. This is why it’s important that we learn to tackle the problems quickly and effectively by getting to the root cause and implementing a proper solution. A problem is a deviation from acceptable performance. There can always be a gap between what is actually happening and what is supposed to be happening. By solving the problem that is causing the issue we will close the performance gap. Every business has problems. Problems are just opportunities to make improvements, forcing us to make necessary changes that will eventually show up on the bottom line. To find an acceptable solution to a problem we must first identify the root cause of the problem. Symptoms are usually the visible manifestation of the problem and because they are visible they can attract attention. In many organizations, effort is often spent eradicating symptoms of a problem, however the unseen parts of the problem – the root cause, is still there needing attention. Each problem category has its own peculiarities that must be taken into consideration when tackling them. These may be difficult to resolve because people are not totally logical and emotions can play a part. Plus no two people are alike, and what works for one will not work for another. Processes are in place to ensure that everything happens as it should, every time, and by everybody. Usually people are a key element of processes. This adds another level of complexity to system problems. Systems are used to execute the process. These cover mechanical, electrical, electronic, or informational. These problems are usually logical but complex and requiring a high level of technical knowledge. For the small business, most problems are going to fall under the People and Process categories. To get to the real cause of your problem, you must dig down past your assumptions and excuses. For example, many small business owners blame decrease profits on lack of sales due to a poor economy. In reality, the economy doesn’t dictate “if” we do business, it dictates “how” we do business. In this example, our decrease profits are due to our failure to adjust our business model and control our expenses. There are many techniques available to help you determine your root cause. We suggest a few simple approaches. You may also ask How. This technique gets you to dig into the problem in more detail so that all available information can be gathered. What: We are over budget on expenses. This is another simple technique that allows you to strip away layers from the problem and tackle root cause. This technique can be used alone or in conjunction with the 5 W’s. Do this 5 times to reach a depth of 5 layers of causes. Depending on the problem, you may not need to do this 5 times. This method begins to give robust information beyond the third Why. Why we were double billed? It wasn’t a double bill, labor hours for 2 months was actually billed in 1 month. Why were we billed incorrectly? We failed to make a change order for extra labor hours. Why did we not make the change order? Bookkeeper failed to enter job costing. So the root cause of our problem is a training issue with the bookkeeper. Our third simple technique forces you to focus on possible causes of a problem. Once you identify possible causes of a problem you can analyze each to get to the root cause. You may find simple solutions or links several problems to one root cause. Now that you have identified the root cause of the problem, you must develop and implement a solution. And the rest of the Root Cause story is…until next time! Key Performance Indicators (KPIs) are a type of performance measurement. They can be used to provide the most significant performance information as to whether the company is on track or not. KPI’s represent a set of measures that focus on specific business functions of the company that are most critical for the current and future success of the company. They are measurements towards the success of reaching your stated goals. You can’t manage what you can’t measure! KPI’s are also known as performance metrics, business indicators, and performance ratios. So, why are KPI’s important to me as a small business owner? Remember your vision, the dream, the reason you started your business? Is your vision clear? Have you developed objectives for the company that support your vision? Are your goals relevant to meeting the objectives? These questions are important no matter what the size of the business. To meet the objectives of the business, we need to set goals that help us achieve those objectives, plain and simple. Without goals that support your objectives, you have no direction. Identify the results you expect. In order to measure your performance with key performance indicators, first you need to know what the goals actually are. Establish clear goals that map to areas of the company: revenue, profit, expenses and so forth. Key performance indicators are not limited to income. Review business goals, and apply these to the desired results. Establish the numbers needed to reach goals. Go beyond just identifying the desired results. Identify actual numbers that represent company objectives. Ask yourself how much profit the company needs to make, how many new customers it needs to add, how much money it needs to save. A company that makes $1 million a year might have a goal of making $1.5 million a year. That $1.5 million is a specific, clear goal–more than just a goal of increasing company profits. Identify the progress that has occurred so far. Key performance indicators work alongside specific company activities, and developing indicators for future activities requires an understanding of what has already occurred or is in the process of occurring. If the company has a goal of making $1.5 million a year and is currently making $1 million a year, the company is approximately 67 percent of the way toward its goal. Determine the percentage of change that has occurred within each area of review. In other words, take a closer look at the current numbers–not focusing right now on the future numbers–and consider what has happened in the past. Doing so will enable you to create more effective goals for the future. Look at the percentage of change on different scales: the change in profits from one July to the next, or the number of clients between one month and the next. Establish the frequency of reviewing these indicators. Looking at key performance indicators should not occur just once but should be a process that occurs at stated intervals over time. Each area of a company studied will require a different frequency. Company profits might need to be reviewed only monthly, whereas satisfaction issues should be reviewed quarterly. Determine the frequency based on the nature of the company and industry. Many small business owners think that KPI’s are something that only large businesses would be concerned with. However, identifying key areas in your business, no matter what size, allows the owner to quickly monitor the current health and direction of the business. What do your KPI’s say about your business? To really understand your business you have to collect data about your business and then turn this data into meaningful information. Data itself is not information. You evaluate the data to identify trends or inefficiencies in your business that are creating profit leaks in the form of lost revenue, out of control expenses, poor process management. All of which are important to all businesses. Key Performance Indicators help a company define and measure progress toward a stated company goal. Many things are measurable. That does not make them key to the company’s success. In selecting Key Performance Indicators, it is critical to limit them to those factors that are essential for the company to reach its goals. It is also important to keep the number of Key Performance Indicators small, to keep it from being overwhelming and discouraging. Everyone’s attention should be focused on achieving the same KPIs. Key Performance Indicators are a perfect management tool to use for monitoring improvement to the overall performance of the company. How much of every sales dollar are you actually keeping? We can all agree that nothing happens without a sale. However, looking at the total revenue line on the profit and loss statement does not tell the whole story. Increase in revenue does not necessarily equal increase in profit or profit margins. For example; if a company has costs that increased at a greater rate than revenue, it leads to a lower profit margin. Profit Margin is calculated by net income divided by total revenue (sales). This profit margin measures how much of each dollar the company keeps after all cost of goods and expenses are paid. While increased sales add to the bottom line to a certain extent, you must control expenses to receive the full benefit. Controlling cost is the key to engineering greater profit. Profit must be pre-determined, planned, and monitored just as any other expense. Planning for profit is a component of your yearly business plan. If you are in business to make a profit then it makes sense to plan for it. Even if your company made a profit last year you have to ask yourself how much higher the margin could have been if you treated profit as your first line item expense (the first line on the expenses listed on your profit and loss). Practiced and administered consistently, a pre-determined profit plan can be quite advantageous for companies of all sizes. It avoids the usual “wing and a prayer” hope that at the end of the year that there is something left! A profit plan is not a sales or expense plan. It is simply a clear and concise written action plan that details how owners and managers work together to achieve the company’s minimum profit requirements (pre-determined). This pre-determined profit is based on what the company needs to achieve in profits to meet the goals and objectives of the company. The pre-determined profit plan and the budget are intertwined and should drive all the company’s activity so the budget requirements are met and the profit expectations are realized. This is a perfect key performance indicator and should be monitored at a minimum on a monthly basis. Determine the sales and profit goals based on historical company information, risk and growth, the health of the industry, and the economy. The sales goals dictate the levels of performance required in all of your business’s departments to achieve goals. Identify activities and processes that drive the company’s profitability and ensure success of the company. Define the Key Performance Indicators (KPI’s) to measure performance and focus on company goals. Decide who will monitor the KPI’s and the intervals at which measurements will be recorded. A pre-determined profit plan is a clear and concise written action plan that details how owners and managers work together to achieve the company’s profit requirements. That can mean the difference between failure and success. Determine you profit requirements and plan for success. Key Performance Indicators are a perfect management tool to use for monitoring performance toward your profit goals. Every business needs a spending plan that looks at the money that must be spent relative to the money expected to come in. This leads us to a business description of a budget: A projection of both income and expenses for a coming time period. No business venture should ever proceed without planning. A budget is a critical part of planning. Your budget is the first step in managing by the numbers. A budget is a spending plan. Your company’s budget is a look into the near future–a way to predict money that will be available to spend and what it will be spent on. This might sound easy, but that’s not always the case because there’s no way to know exactly what will happen to your business in the coming year. Managing your business by the numbers each month will help you react quickly in response to sales forecasts that were not realized. There can be many reasons for a dip in expected sales. The key is to respond with a reduction in expenses and of course evaluating why the sales goals were not met. Were the goals reasonable? Were there unexpected challenges that are atypical? Does there need to be an adjustment to the forecast of sales for future months? These are all questions whose answers could change what you forecast in expected expenses. There are generally three types of budgets a business owner can and should establish. A cash flow budget. This type of budget specifically details the amount of cash that is collected—usually monthly, but sometimes weekly. The cash flow budget accurately lists specific details of the cash sources and amounts that a business receives and distributes. A well-documented cash flow budget will enable an entrepreneur to build and maintain the cash reserves needed for future growth. An operating budget is a projection of business activity for the coming year, how much we expect to produce. It anticipates and predicts the revenue and expenses for a company for the year. An operational budget is perhaps, the most common type of budget used and what we will discuss. The capital budget places a value on the equipment that is needed in order to grow the business and boost revenues to the next level. Perhaps the importance of the capital budget is to assess how much it will cost to implement new procedures and equipment in order to create a new product or expanded service for the business. In order to create and analyze a budget effectively, a business owner must clearly define a vision and set goals for the company. Ask yourself where you want your company to be in two, four or six years. How do you want the company to expand—by adding more staff, equipment, products or services? Perhaps you want to manage more efficiently by controlling expenses while keeping revenue constant. All are very important questions you should ask yourself before starting a budget. Review the budget and determine if it’s attainable, sleep on it. Always charge expenses to the activity incurring them in the Costs of Goods Accounts. Place every item of expense under someone’s direct control. Have those who are responsible for an expense budget help prepare it. Don’t hold people responsible for expenses they don’t personally control. Don’t try to carry expense-budget funds over to the next period. Don’t attempt to move funds between capital and operating budgets. Require some level of approval for all expenditures. It’s important to track the money going into each expense category as well as how much is spent altogether, so a breakdown of the expenses charged to any activity is essential. A budget can’t be prepared properly right before the new period starts. Past costs adjusted for whatever is known about the coming period are some of the best predictors of future costs. With that in mind, you should gather information that will be used in preparing for the next period throughout the present period. How does a budget help the bottom line? As a small business owner, one of the most important tools you have in your tool box is a budget. It should be done annually—and monitored on a regular basis. You must establish an annual budget and deal with it every day. Monitoring your actual financial performance against your financial goals is a pivotal part of entrepreneurship and the health of your company. It’s okay to have a budget that may prove to be a challenge, but don’t be unrealistic and set financial goals that you will not be able to achieve. Learn to pre-plan profit and protect the bottom line versus waiting until the end of the year to see what is left! Putting more $$ in your Pocket! A profitable business begins with understanding what it takes to be profitable. Many business owners’ will focus on increasing sales and not on controlling expenses. The fastest path to profit is controlling expenses. If you are not paying attention to the business-side of your business, you are not as profitable as you could be. Remember the six business functions: Operations, Marketing and Communications, Sales, Administration, Human Resources, and Finance and Accounting all; play a role in the profitability of the company. Profitability is simply a company’s ability to make a profit. It is a measure of success that a company is meeting the financial goals; it is the principal objective. Profit is the amount left over when all financial obligations have been met by the company, not the balance showing in the check book. There are hundreds of reasons businesses fail. A business without a positive profit margin will systematically put itself out of business. Pick up any business book and there are chapters filled with reasons for companies not to succeed. Lack of profitability is the number one reason businesses fail. A company that is not profitable cannot remain in business. The following are the top ten that we see at Stanford. Poor Planning – Planning is critical. If you don’t know where you are going, how do you know you got there? Many business owners will start with a business plan to get assistance from a bank or investor only to let the rest of the plan gather dust on a shelf. Without consistent planning you run the risk of failing to meet not only financial goals but marketing, sales, and operational goals. Business planning should be done each year and defined measurements for success should be set for all company goals. If you are not meeting these goals you are running the risk of not meeting a healthy profit margin, the whole reason you are in business. Out-Of-Control Growth – Growth is something we all dream of! It is the ultimate reward for hard work. If a business does not carefully control growth then it can be the beginning to the end. A well run business develops a good working model before opening new markets or adding more profit centers. Growing without planning and control can cause devastation to the company. Sometimes, less is more. Protecting profit is the key to positioning for growth. Poor Accounting Methods – Not knowing enough about the “books” leaves business owners not in control and in a constant state of confusion. Many have an elementary approach to business acounting and say, “I only want to know the bottom line.” They forget controling everything above the net profit on a profit and loss statement is the most important part of managing by the numbers. The profit and loss statement will talk to you- you need to learn how to listen! Many hire an accountant or a CPA to go over the books once a year in order to file income tax statements correctly. This does not produce a ture complete picture of the business. Usually, there are uncontrolled costs, spending, and profit leaks. That is why the statistics for business failures are so high for small and medium-sized businesses. People who use accurate financial reports to make their business decisions seldom fail. A profitable business rarely fails. The “books” are supposed to provide management with accurate, pertinent, up-to-date information that will guide the owner in running the business profitably. Uncontrolled Expenses – Now more than ever, lean companies are at an advantage. Controlling expenses is the fastest path to increasing profitability. A business that is profitable in a down economy will thrive in a healthy economy. Many business owners will ponder over falling revenue numbers too long before adjusting business expenses. If you manage expenses as a percent of revenue you will continue to manage profitability! The economy should change how you do business not if you do business. Inaccurate Job Costing – Inaccurate job costing compromises your profit potential. Failure to account for all costs creates waste and low profit margins. Once you have created an accurate estimate, you must also track changes that add expenses during the project or you will run the risk of not identifying all costs associated with the job, which in turn affects the profit of the job. Out of control costs or a lack of a cost control system has a negative impact on working capital, creates improper product pricing, and causes unfavorable variances resulting in high costs and low profit margins. Poor Administrative Procedures – As a business grows, you will start to need help tackling each area of the business. Without properly documented administrative procedures, the transition to having administrative staff can be bumpy. When things are not going as they should, some will say, “Tomorrow, I have to get organized.” Without knowing it the business owner is really saying “I have to put administrative procedures in place so I can function as a productive and profitable business”! Failing to identify administrative inefficiencies will keep a business from controling cost and increasing profits. No Operating Policy and Procedures – The lack of operating policy and procedures in a company, no matter the size, is the root of all evil! Your policy and procedures define what you do and how you do it. The policy is the “Why” and the procedure is the “How”. It is how you build a strong foundation for the business. Without this structure you will lack consistency and quality. A hap-hazard approach is a breeding ground for profit leaks which drain the profit right out of the business. Poor Management Practices – This translates into owners who cannot get out of their own way. You know them. They may be stubborn, afraid to make decisions because they may not be the right decisions, or to avoid conflict. They may be a perfectionist, greedy, or just insecure. Many owners recognize the problems but continue to make the same mistakes over and over, yet expecting a different result. Many owners lack focus, vision, planning, standards and everything else that goes into good management. Low Productivity – Every minute an employee is idle, the cost comes out of the profit dollar. Every minute of idle machine time, the cost comes out of the profit dollar. Every minute the materials or goods are not in motion, the cost comes out of the profit dollar. Low productivity = low profit. Most companies have the ability for higher productivity without adding more people. Planning and schedule management alone would increase the bottom line. Lack of Personnel Evaluation and Fair Compensation – Few business people are aware of the cost of inadequate supervision. Lack of personnel evaluations and fair compensation leads to low moral, and dissatisfied employees leads to turnover. The costs of replacing qualified personnel who quit, finding and training the replacement, and the dissatisfaction of customers are not shown on the P & L. Additional costs include wasted goods and materials and a decrease in productivity.There have been many studies on the needs and wants of employees. These studies have shown that knowing what is expected of them, having the tools they need to do the job, and being shown respect are just as important as pay. In fact, pay is often down on the list. A company who meets the needs of the staff and has a fair compensation builds loyalty which, in itself, improves the bottom line. If you are not in business to make a profit then you have to ask yourself why you are in business at all. How long can you discount or give a product or service away before you have de-valued that product or service? It is very common for small business owners to judge their success on the balance in the check book or the end of year sales volume. It is neither. Profit can only be defined as the difference between revenue and expenses. 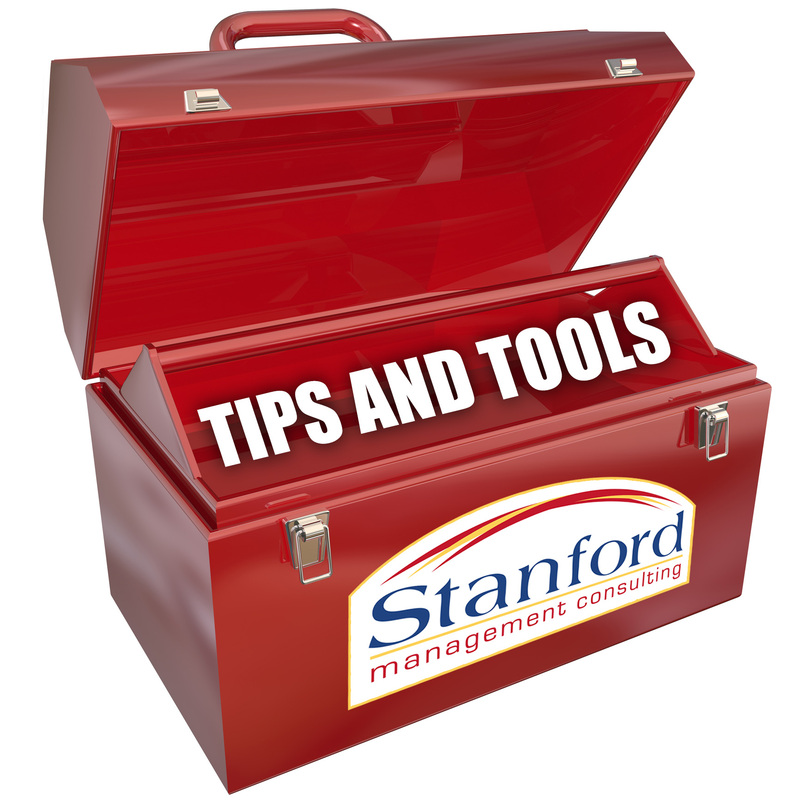 At Stanford, we prefer to teach our clients that profit is a predefined expense. Business planning and a business plan are two very different things. The business plan is the formal document that should provide the reader with pertinent information about how your business operates. Business planning and a business plan are two very different things. A business plan is a formal document that should provide the reader with pertinent information about how a business operates. Business planning is the process by which you define what your business will accomplish in the future. Business planning should be done each year. We promote completing this process by Thanksgiving each year so that you are ready to roll January 1! This means you would start the process September or October, depending on the size and scope of your business. It does not matter how old a company is when it comes to planning. We have all heard the saying “Failing to Plan is Planning to Fail”! I love this because what you say to yourself and/or your employees is you are planning for success and not failure to meet your goals. Planning is the most important first step you take for the New Year. It assures you outline goals that are reasonable and measurable. A goal is never attainable if you never look at it again. Monitoring your goals keep you on track and focused on that success. You may have risks associated with reaching your goals for the New Year. Identifying those risks provides you with that “Plan B” and keeps you in control. Business planning is your most important tool going into a New Year and an exercise you must do, each year, to define where you are going and how you will know you got there! How you will manage your plan….yes, plan for that too! How will planning help my bottom line? Set measurable goals. Written and monitored goals result in a higher rate of success! Run a report on the previous 12 months revenue and expenses. Do a variance report, written. Make sure you are honest with yourself and paint a real picture of this year. Decide what your profit margin should be. Yours not your industry. Make a list of all your services and add/delete as necessary. Make a list of any large purchases/programs that will have a financial impact. Make sure you are setting prices/fees to include profit and overhead. Develop a sales plan for the New Year. Record expenses for the New Year. Make sure you are realistic and have measurable goals. Decide how/when for monitoring procedures. Plan for review and adjustments as the year progresses. Increased profit margins! You will see progress each month if you follow your plan. You will also feel more in control of your business and the products and services you offer. The first time is always the hardest. Think of your plan as a roadmap and plan your destination. Each month as you review where you are you will see the destination is getting closer and closer. Enjoy the ride! With the business climate changing so quickly today, so must your business. Economic conditions, client and staff demands, and increased costs may be bringing your business down. Are you generating all the profit you should? Is your net profit where you want it to be? Does the business you created match what you dreamed it to be? If you don’t like the answers to these questions then this workshop is for you! We’ll show you how to plug up those profit draining holes in your business so that you can start building the business that you’re passionate about! Are You Ready To Learn Ways to Make Your Business More Profitable? Click on the Register Now button below to sign up for this workshop. Seating is limited, so reserve your space today! 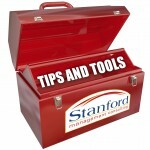 Stanford Management Consulting stands behind all of our seminars. We understand the value of your time and money. If you attend and do not feel that it was worth your time or investment, we will gladly refund the cost of the workshop. With the business climate changing so quickly today, so must your business. Economic conditions, client and staff demands, and increased costs may be bringing your business down. 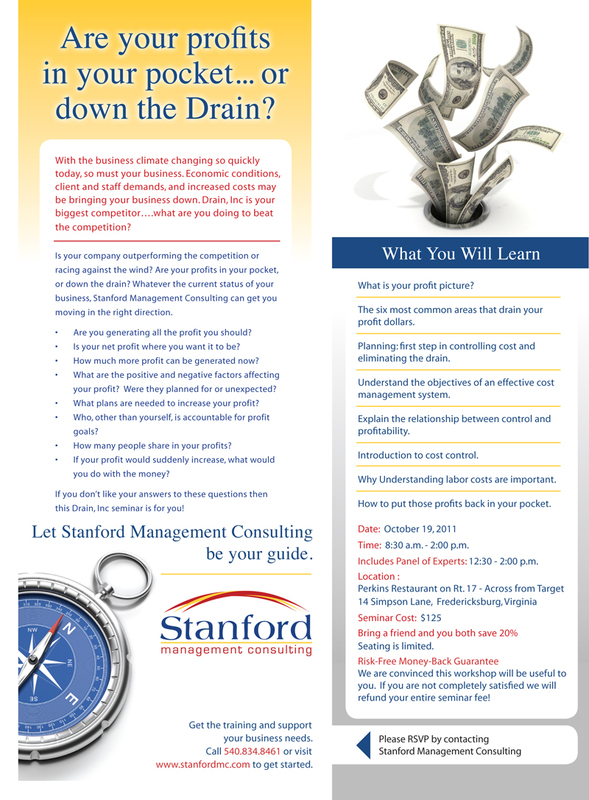 Drain, Inc is your biggest competitor….what are you doing to beat the competition? Click here to download a .pdf version of this flyer.